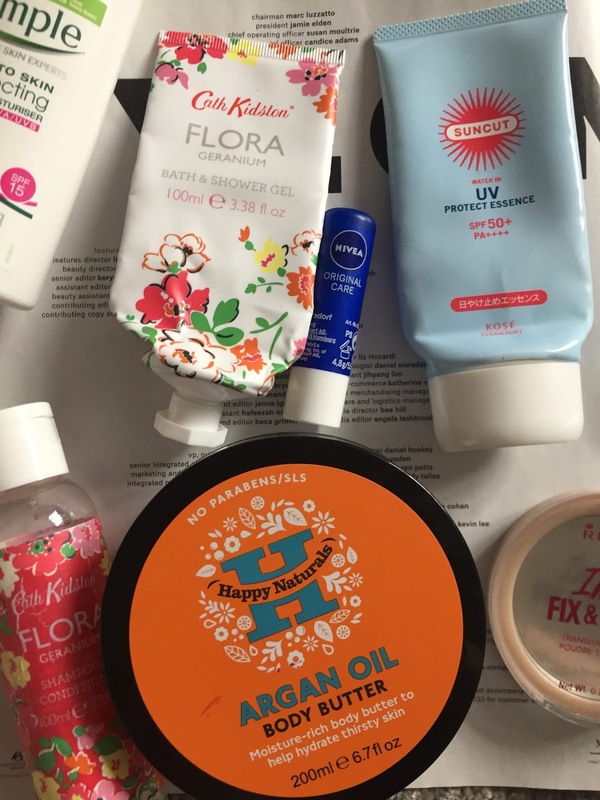 It's been a little while, so it's time for another empties post: this time its things I finished while I was at home in Easter. Most of them were things I really enjoyed, but one was a bit disappointing if I'm honest. Cath Kidston Flora Geranium scented shower gel// I really enjoyed this shower gel- although I'm normally a Lush gal, the geranium scent was something I've not used much before and it was really nice. Cath Kidston Flora Geranium scented shampoo// I was mainly using this shampoo to fade my pink hair over Easter- although it smells nice, I think it's definitely meant for normal hair, not bleached hair as it was harsher than something I'd normally use. It did smell great though. Rimmel Insta-matte face powder in Transluscent// I bought this powder to try, but I have to say I'm kind of disappointed- it's quite powdery, (as in, it looks quite powdery and cakey on my face) and the product is both smaller and more expensive than my usual Stay Matte which is also from Rimmel. I definitely prefer Stay Matte or the clear skin powder from Rimmel- both are great and much better value for money too. Simple Moisturiser// I've tried this moisturiser a couple of times, although my skin seems to prefer the Simple Clear Skin Oil Balancing moisturiser, so I'm going to stick with that for now. I ended up using this on my body to use it up. Happy Naturals Argan Oil Body Cream// I love loooove the smell of this- it's such a rich scent (patchouli) and at £4 (£3 on offer) I'll definitely pick this up again- it's really moisturising but not sticky and just everything I need from a body cream. Bonus points for being so nice smelling and so cheap! Kosé Suncut sunscreen// Japanese sunscreen does not mess about- this is 50pa++++ and even though it's pretty cheap in Japan, it's not sticky, works as a primer and doesn't leave a white cast on your face. This is my second tube and I've already got another one ready- it's cheaper to import this from Japan than to buy a high end nice sunscreen from the UK and it works so well for me. Nivea Lip Balm// This was ok, although I'm going to stick with my standard Vaseline- although it's less convenient to apply, one tin lasts waaaay longer than this tube did. It's nearly moving out time, and I'm trying to condense my things in Leeds so I don't have tonnes to bring down south. I thought I've been doing well recently with not having more than one of each thing, but I just counted and I had 5 (!!) different shampoos! (and they're all different and necessary- one normal, silver, smoky, rosé, clarifying, but still... 5 is a lot). 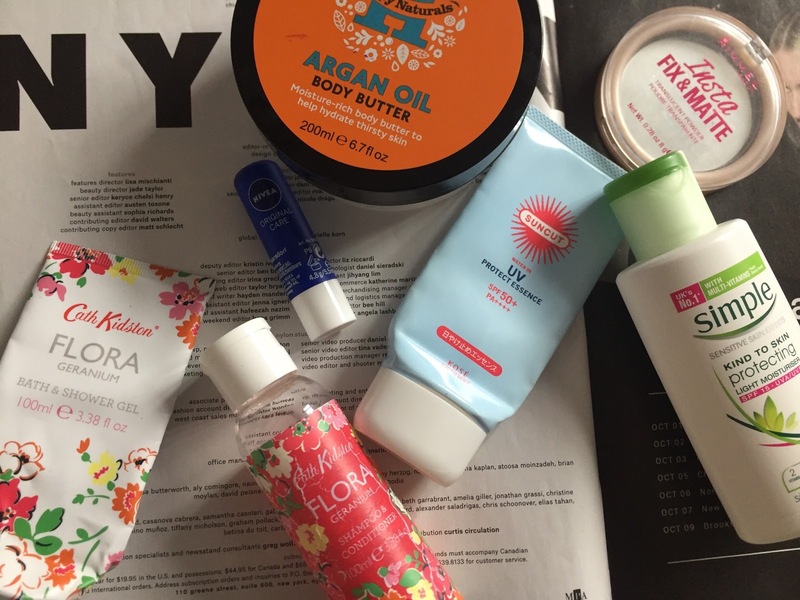 So, maybe you'll see another empties soon. I, uh, I collect cleaning products. I love 'em. I love buying 'em. I love thinking about which ones I'm gonna buy next. 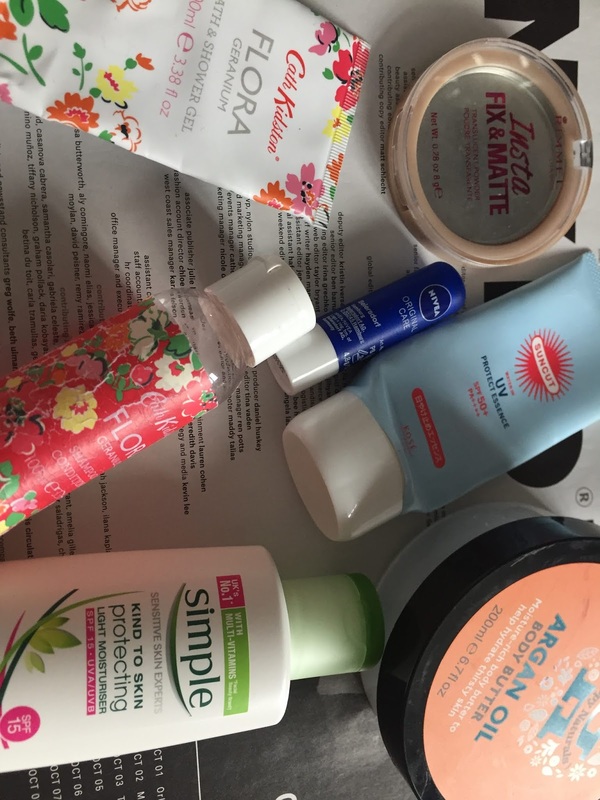 Do I ever use them enough to finish them and actually do 'empties' posts? Answer: the cupboard under my sink is a towering monument to my goodest of intentions, and my poorest of results.